Apparently Monday's inaugural screening of Werner Herzog's 3-D film Cave of Forgotten Dreams ran with a small hiccup. The air conditioners were turned on in the new TIFF Bell Lightbox screening facilities and shutdown the power. Luckily the power was quickly restored and the audience was able to enjoy the rest of the film. Coincidently last year's TIFF premiere screening of Joe Dante's 3-D film The Hole experienced a similar setback. The fire alarm sounded as the film entered it's 3rd act. But that audience was not as lucky as Monday's as the entire auditorium was shortly evacuated. As a testament to either the power of Dante's story telling or the loyalty of a Festival patron, many of the audience had to be herded out of the theatre, watching the film from the isles while the alarm blared over the soundtrack. I have to admit, I was one of those patrons. I promise reviews of both films. The review for Cave of Forgotten Dreams will come shortly after I see it on Saturday. I'd like to try a view The Hole in it's entirety before I review it. Still hoping to get to it this week. After all what is a Cave really but a big Hole? 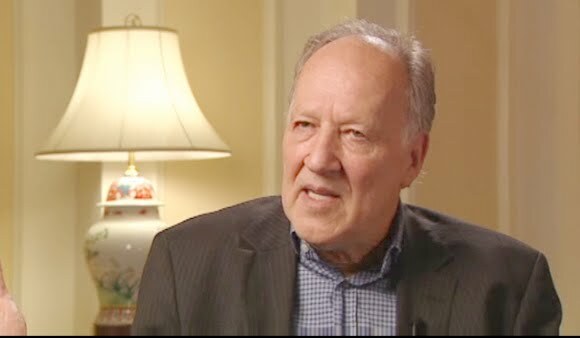 If you're interested in Herzog and his film, here's a link to a CBC interview with the man about Monday screening.